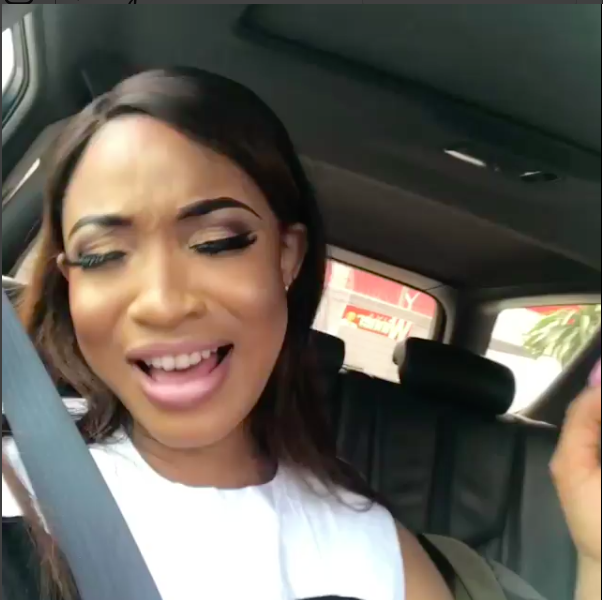 Tonto Dikeh had repeatedly said she was born again but not sure anyone took her seriously until she shared a video of herself speaking in tongues this morning. Just imagine the POWER that would be incubated in words reeling out of the mouth of the uncreated creator! The very one who spoke you into existence and whose hands shaped your destiny! And so in every circumstance, I just want to know what God said, because the opinion of Man is only a weapon to fight your faith! They will tell you why you won't get the job.They will tell you how hard it is as a single mother to ever find a good Man..They will say waiting on God is a waste of timeThey'll suggest you don't have what it takes.. They will show you how else it can't be done.. They will have facts... They will point to test results.. They will quote statistics..They will confuse you..Some will condemn you... Why do you even think God will do it they'll ask.. Because, he is not a Man that he should lie. Because his covenant will He not break nor alter that which has gone out of his mouth. Because His thoughts towards you are thoughts of good, to give you an expected end. And because of this we know that All Things... Again I say all things work together for our good! So if he said it, he will make it good and if he spoke he will bring it to pass..for in all these things we are more than Conquerors!LET GO AND LET GOD..TRUST HIM ENOUGH...When the holyspirit takes Over you,HE CAUSES EVERY AREA OF YOUR LIFE TO GLOW/EXCEL..
Swipe left to watch the second part.